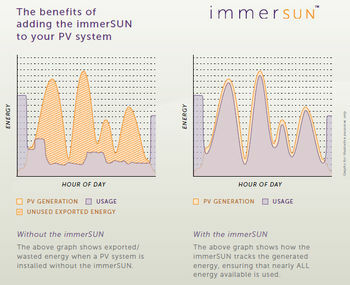 This intelligent device is a sensible and practical addition to your PV or Wind microgeneration system. Water is heated via your existing immersion heater, using surplus power that would otherwise have been exported to the grid. 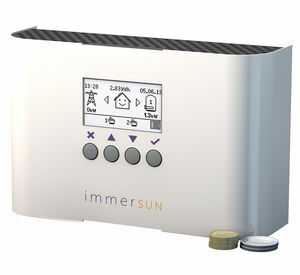 The immerSUN monitors the electricity which is about to be exported to the grid and diverts it to your immersion heater. It then automatically directs any excess generated electricity, not used by the house, to the immersion heater in the hot water cylinder.